There’s something about enjoying a meal with a view that takes your dining experience to a whole new level. This particular restaurant is slightly off the beaten path, but worth the extra effort. 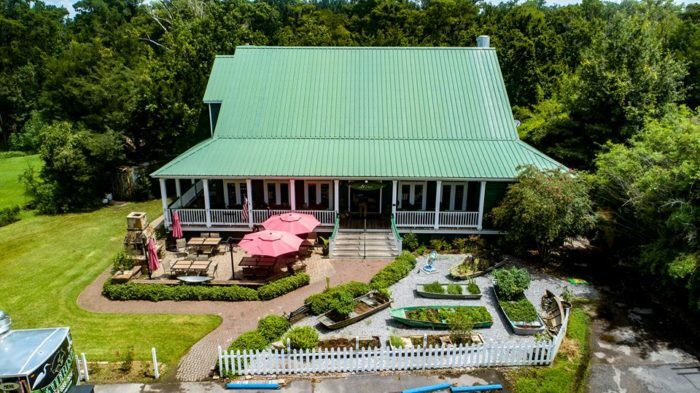 Featuring an amazing menu of Cajun and Creole cuisine combined with some mesmerizing views, this bayou-side restaurant is a must-try. Let’s take a closer look. 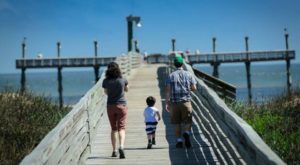 Just past Barataria Preserve in the small town of Crown Point, you’ll find Restaurant des Families. 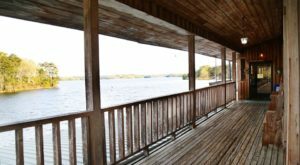 This place is quite the hidden gem and you're going to fall in love. 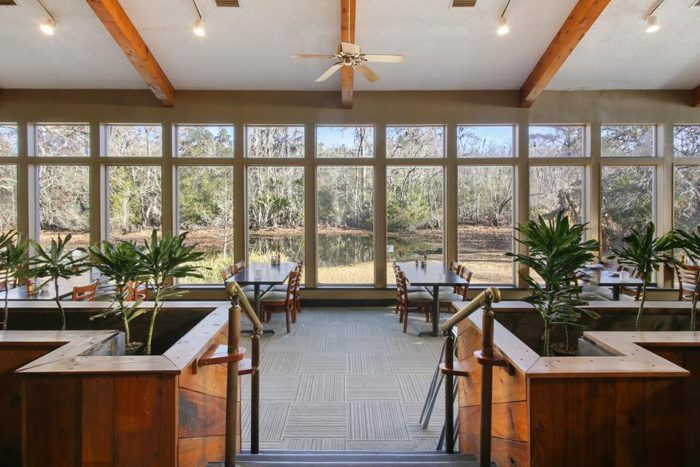 Nestled along the banks of the beautiful Bayou des Familles, the quiet and relaxing atmosphere will hypnotize you from the moment you walk in. 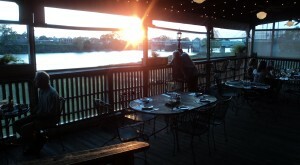 Take a seat in their beautiful dining room with stunning water views, or enjoy an al fresco meal on their outdoor patio. 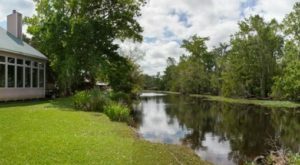 The bayou views are simply incredible. 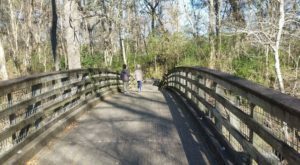 Bayou des Familles is home to tons of wildlife including alligators, turtles, egrets, and many others. 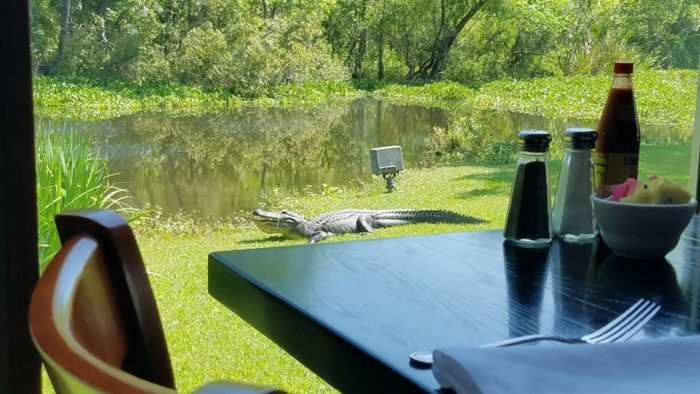 It’s not uncommon to spot wildlife just outside the restaurant, and you can watch it right from your table. 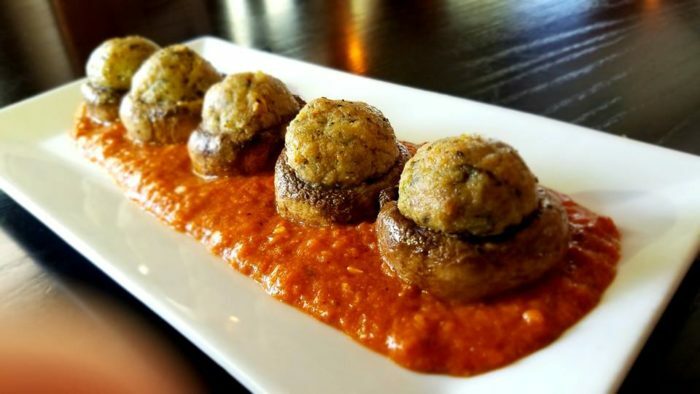 For an appetizer, you can’t pass up their signature dish: alligator stuffed mushrooms. 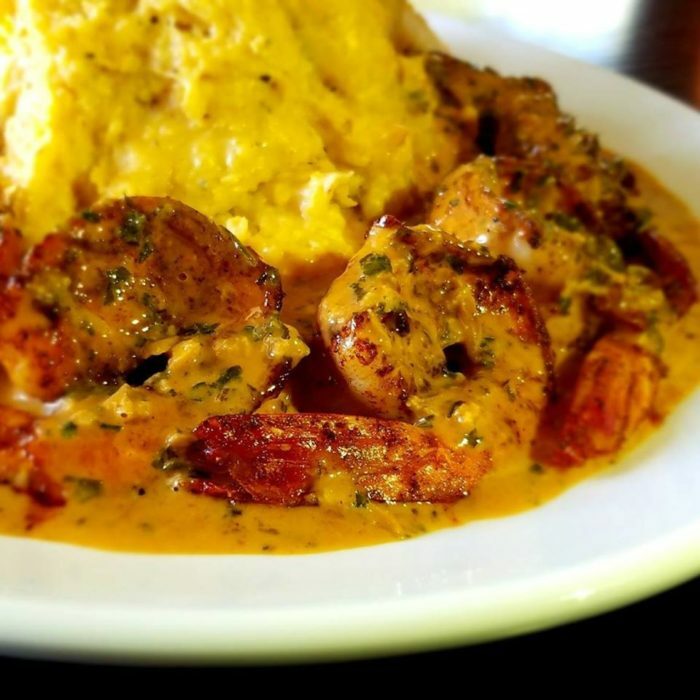 Laid out on a bed of alligator sauce piquant, this unique dish is a must try. 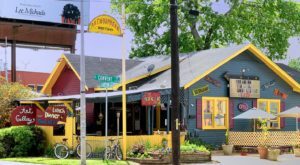 The menu features an assortment of Creole and Cajun favorites with their own unique spin on things. Pictured above is their BBQ shrimp with jalapeño-cheddar grits. You’ll fall in love after one bite. 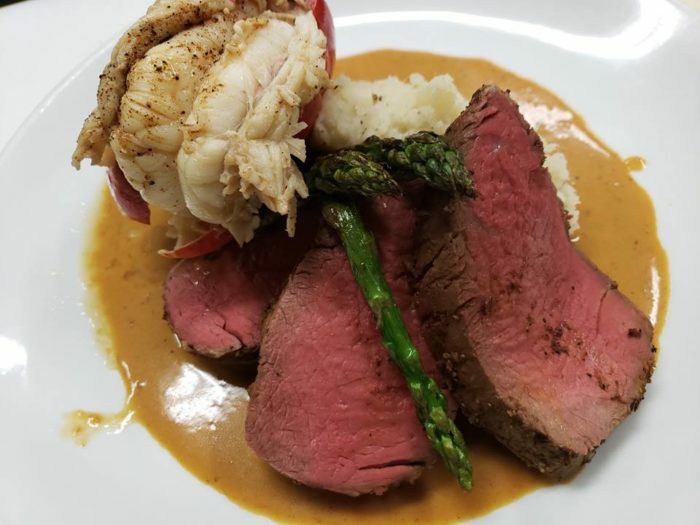 Whether you’re craving steak or seafood, there’s something for everyone on the menu here at Restaurant des Familles. 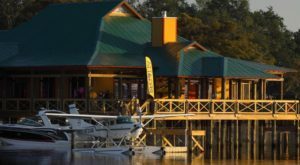 You'll find it at 7163 Barataria Blvd., Crown Point, LA 70072. 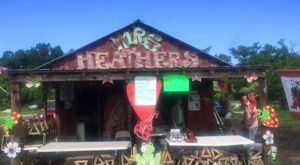 Have you ever eaten here? Let us know in the comments below!